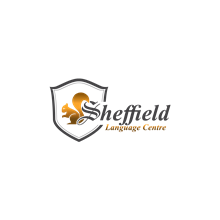 Sheffield Language Centre is an international English Language Centre that offers a great choice of high-quality English programs for international students in the UK. Our mission is to enhance learning to help students achieve valuable results at every step of their career. Our centre continuously works on improving new practical English learning methods to teach international, non-native English beginners and advanced learners who want to hone their English skills. We help learners discover the love of learning that will provide opportunities throughout their lives. Our style of teaching is unique, interesting, engaging and professional. Our highly-qualified staff focuses on an individual’s involvement through daily life learning materials, practical and interactive activities. High-quality English Language teaching by highly qualified and experienced English teachers. Small classroom numbers, more teacher attention in a friendly family environment. We will take you the extra step to get you where you want to be, in English.